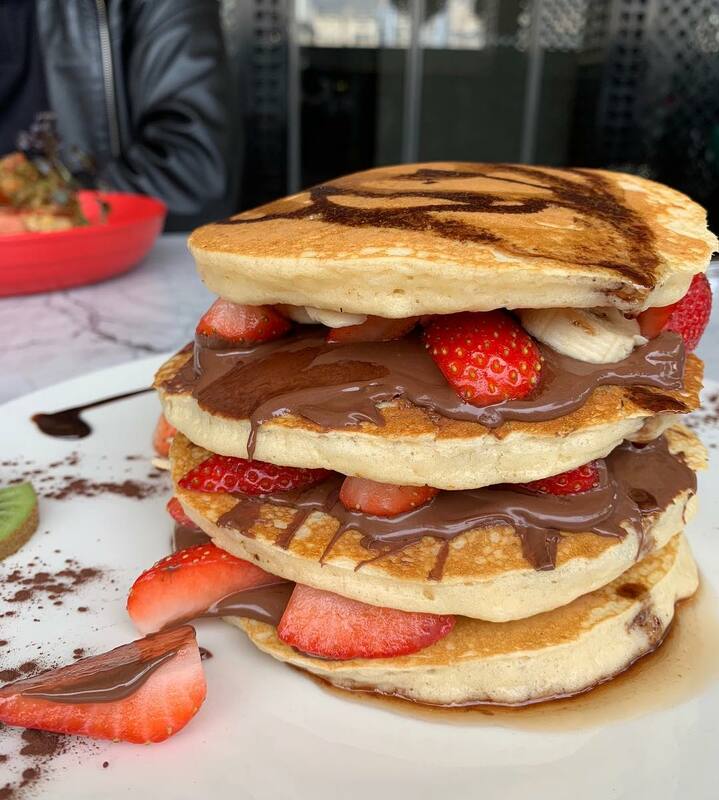 And with Shrove Tuesday fast approaching, here's our definitive guide to the best pancakes in London you can get delivered with City Pantry. You're welcome. If you want a hot tip from the experts at City Pantry: treat yourself to Crêpeaffaire's I'll Have What She's Having. Strawberries, whipped cream, lashings of Nutella and rom-com nostalgia all for under £8. Magic. How? 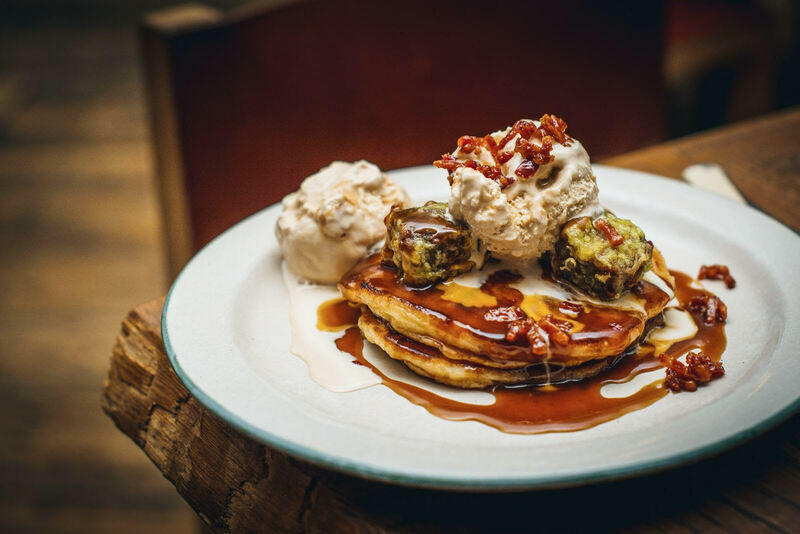 Well, Mac and Wild have stuck to their roots and added a very special Scottish delicacy - a deep fried Mars bar - on top of their pancake stacks. If you read that without drooling: well done. And if that wasn't enough, their pancakes come with a whisky caramel sauce and moreish peanut butter whip. Made with almond milk and gluten-free oats, the pancakes from SHOT are actually sweet potato pancakes, and perfect for when you're counting the calories. Served with banana, maple syrup and small pieces of dark chocolate, this is one guilt-free way to enjoy pancakes this Shrove Tuesday and the best part? You can order them right to your desk with City Pantry. 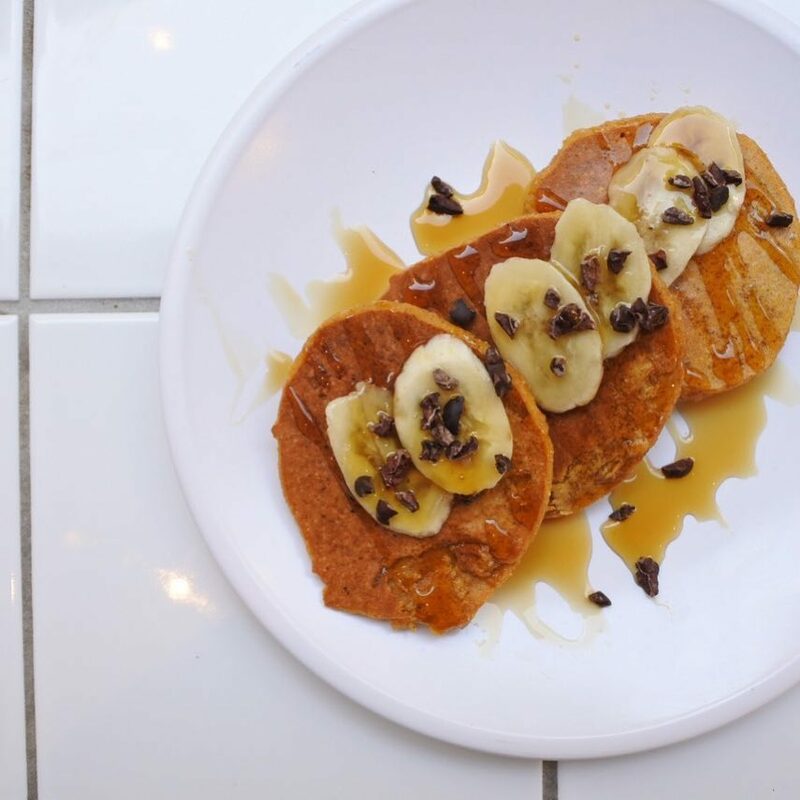 You don't have to wait until Shrove Tuesday to get your pancake fix - Dalston's Cafe Route serve their Mediterranean-inspired pancakes all year long. Yes, you read that right. 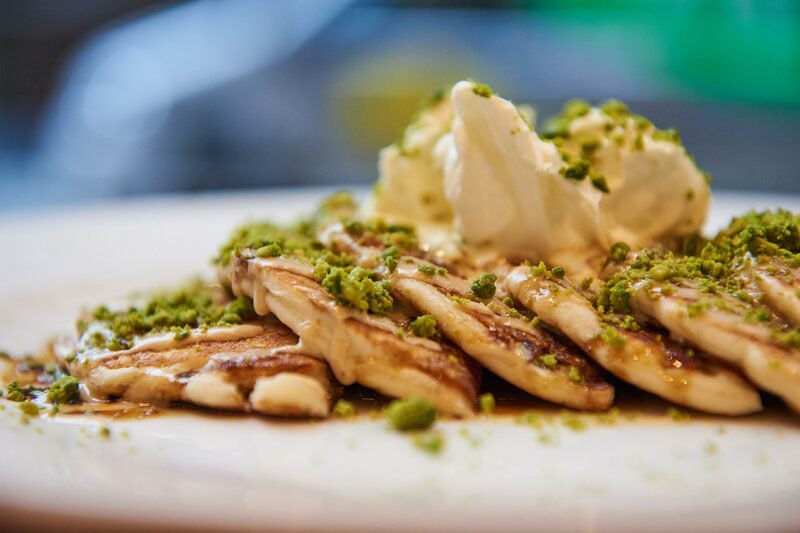 Cafe Route specialise in hearty Mediterranean cuisine, so forget sugar and lemon this year, expect your homemade buttermilk pancakes to be served with kashta cream, yellow compote and crunchy pistachios. Trust us, they're a game changer. We don't tend to throw around the term 'genius'. However, the person who decided to combine pancakes, bacon and maple syrup was a bonafide boffin. Ed's Easy Diner offer up this legendary mix of sweet and savoury at their various locations across London, and they do it better than anyone. Want to see what we're talking about? 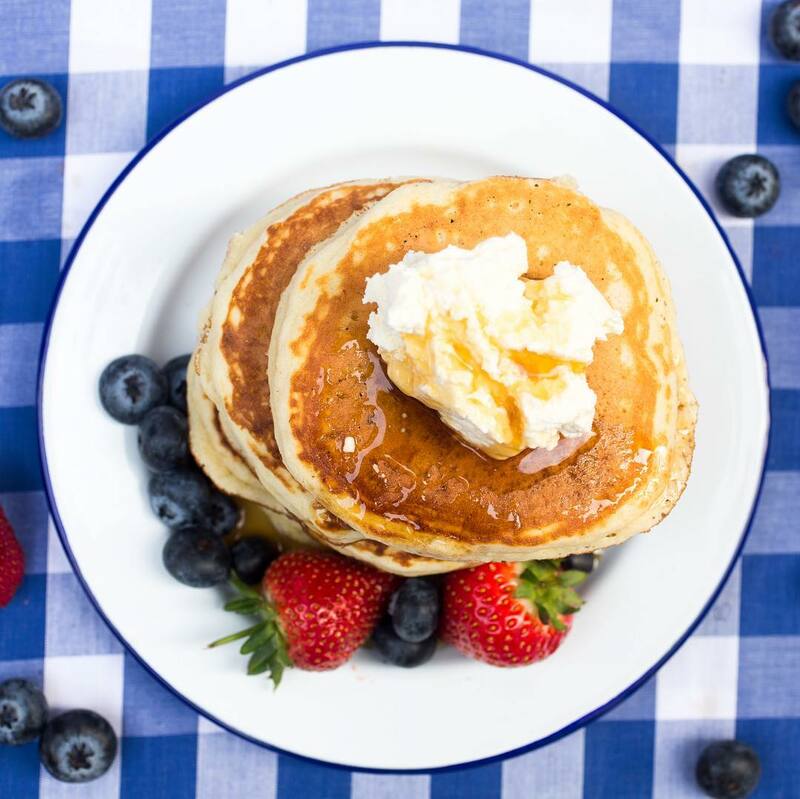 Order their All American Pancake Stack to your office with City Pantry. 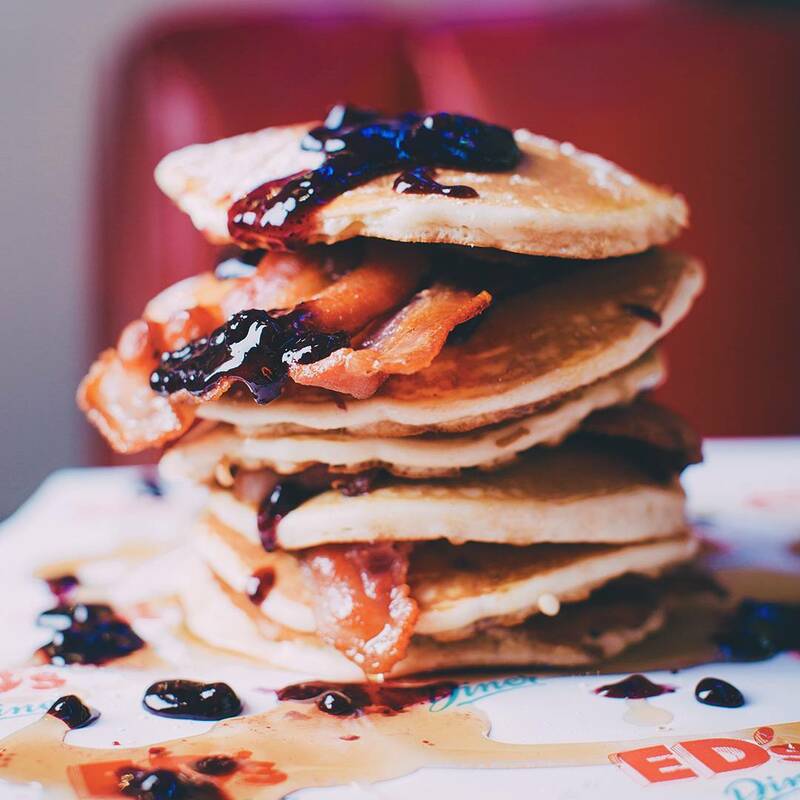 Toppings like smoked bacon, maple syrup and blueberries aren't going to win any awards for originality - but boy are they delicious. Whether you're after classic lemon and sugar or something a little more indulgent, City Pantry have got you covered this Pancake Day. 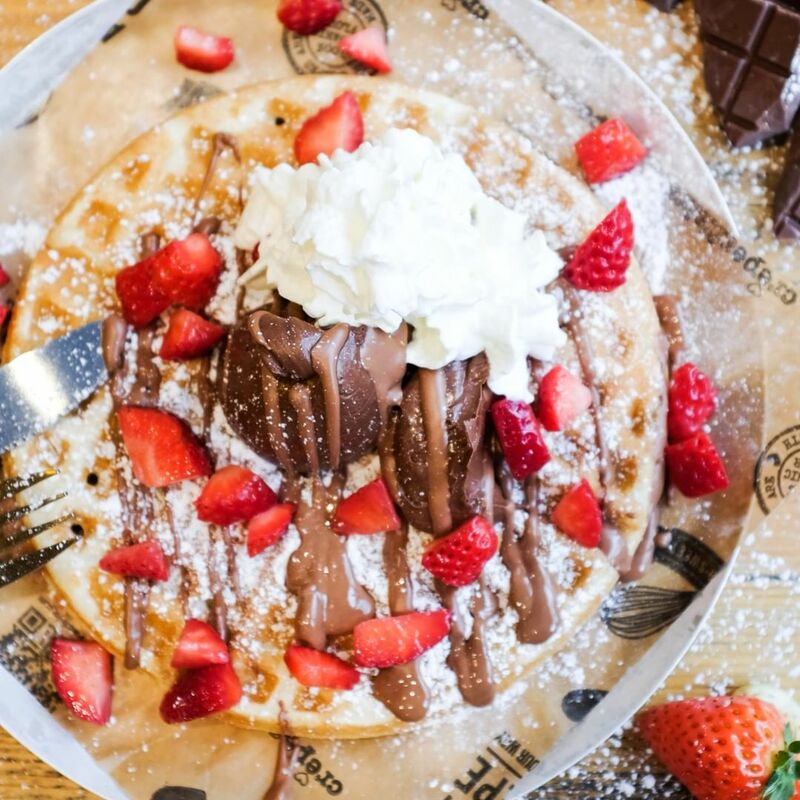 We even offer pancake pop-ups where the restaurant bring a flipping good time to your office – so you can get your team bonding over toppings.